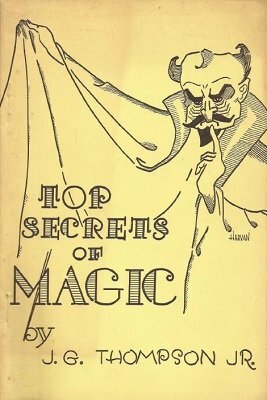 But, there has always been a dearth of practical routines, probably due to the difficulty encountered by most magicians in linking tricks into a smoothly flowing series of mysteries and, perhaps, because of some innate trait of laziness found in most of us. That is why I am so impressed and pleased with the text of Jim’s book. It truly helps to fill an unfortunate gap in magical literature. Experienced students of magic recognize the importance of blending tricks into a smoothly flowing series instead of performing single items in a more-or-less haphazard fashion. Some of the most effective magic is presented in routine form. However, while there are plenty of individual tricks to be found, the magician looking for some continuity in his mysteries ends up doing just that—looking. The obvious advantage of a routine lies in the fact that this procedure enables the performer to move gracefully from one effect to another without a noticeable break or awkward pause. In short, from the onlookers’ viewpoint, the finished product is more pleasing to watch and, consequently, more interesting and baffling as one mystery flows easily into another. 1st edition 1956, 127 pages; PDF 144 pages.